After the initial license registration, you can manage your own API keys and change them anytime. With GUNTHY token, license ownership is validated on the blockchain. You are responsible for your own API keys and GUNTHY wallet. Please understand that we might not be able to help you if you lose all your API keys and (access to) your wallet address. Make sure to follow all the security advise when setting up a wallet and properly save and backup the API key(s) used for Gunbot. Step 1: Reseller registers your API key to be used with Gunbot. For each exchange you use Gunbot on, your reseller initially registers the API key on the Gunbot license server. Step 2. Create a GUNTHY wallet. GUNTHY is an ERC-20 token, this means that most Ethereum wallets are compatible. You need to use a wallet you own, a wallet address at an exchange will not work. If your wallet software asks about the number of decimals to use for GUNTHY, enter 18. Enter your exchange key(s) on Settings > Trading > Exchanges. In Gunbot, use your registered API key as master key. Optionally you can use a secondary API key for trading, this key needs to exist in the same exchange account as the registered API. 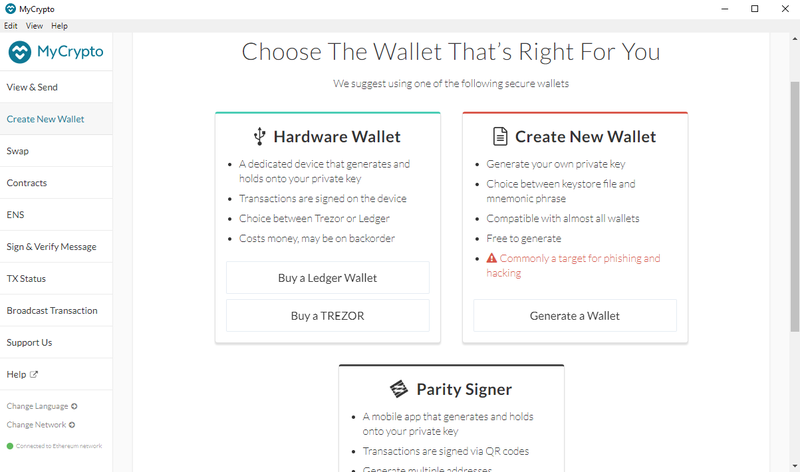 Enter your GUNTHY wallet address on Settings > Prefences > Gunthy Wallet. Enter your GUNTHY wallet address. All of your API keys are then registered to this wallet address. 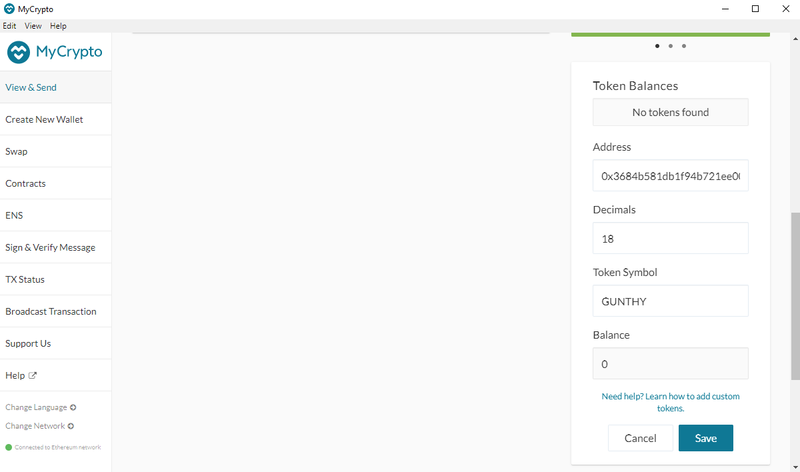 When you add registered keys to Gunbot after already having set your wallet address, the new keys are automatically registered to this wallet. After you’ve connected an exchange, you’ll receive an airdrop of 1000 GUNTHY per registered API key. To use Gunbot, your wallet must hold 1000 GUNTHY for each exchange in use. During the initial rollout of the new license system, airdrops are not yet automatic. Gunbot will work without a token balance until this process is fully tried and tested. To update your master key, you can simply choose a connected exchange and enter a new API key. The key is then automatically licensed to be used in combination with your GUNTHY wallet. The new key can be used immediately and is entered as Masterkey in your exchange settings. In case you use the same key as trading key, make sure to update this in the settings for connected exchanges. 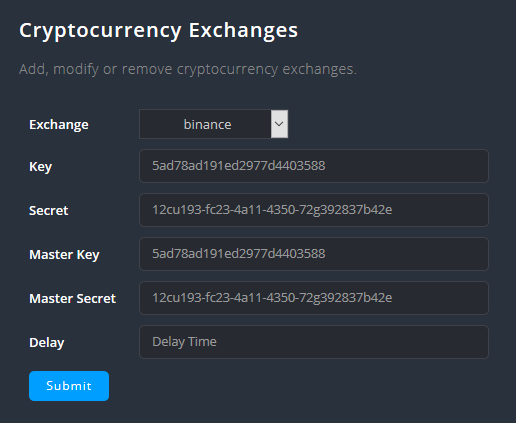 The API secret is only used to update your exchange settings. If you need to switch to another GUNTHY wallet, you can update it on Settings > Prefences > Gunthy Wallet. 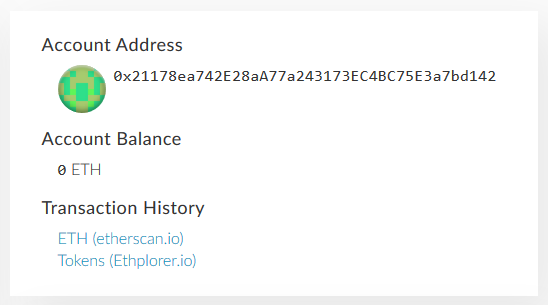 All of your registered API keys connected to the old wallet address will be registered to the new wallet address after updating it. Are there costs involved when I update my API key? No, when you manage your own API keys there are no costs for changing them. How often can I update my API key? You can update your API keys as often as you want. Can I run multiple Gunbot instances using the same GUNTHY wallet? I have more than one registered API key for the same exchange, what to do? If you have multiple registered API keys for the same exchange, each key needs to be registered to a different GUNTHY wallet. You must run multiple Gunbot instances to do so. Can I change my API key to another exchange? No. You can only change your API key to a new key from the same exchange. Is it mandatory to register a GUNTHY wallet for my API keys? This is a new system, it is currently voluntary to register a GUNTHY wallet and self manage your keys. Please be aware that this might change in the future as GUNTHY usage grows. No. Airdrops are on a per key basis. Every time you use a new registered key in Gunbot and connect it to your GUNTHY wallet, you’ll get tokens airdropped for this new key. 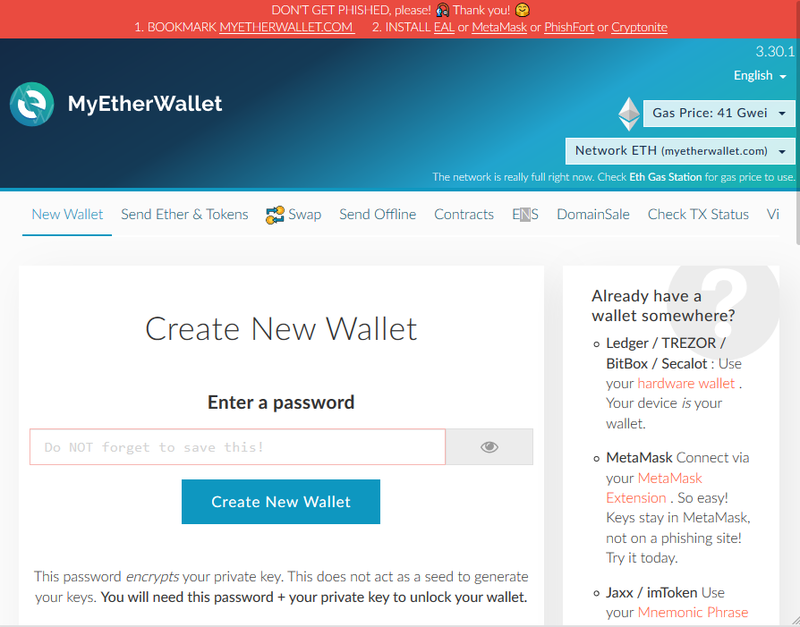 Can’t I just use any wallet address? Abuse will not be tolerated. Only use your own GUNTHY wallet address in Gunbot. Using your own wallet address is the only way to receive and control the required amount of tokens. To create a GUNTHY wallet, you must add a custom token to an Ethereum wallet and enter this contract address: 0x3684b581db1f94b721ee0022624329feb16ab653. Below you’ll find short descriptions on how to do that with a few of the most used Ethereum wallet clients. 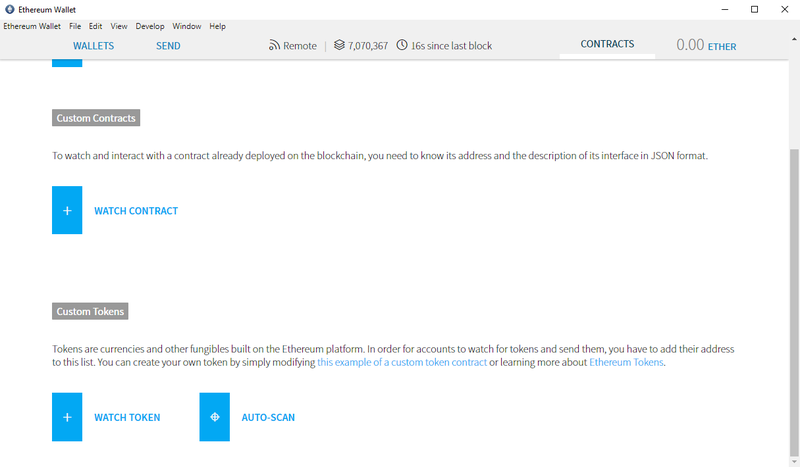 If you already have an Ethereum wallet, only the steps for adding a custom contract apply. Click Add Account and follow all the security advice given. 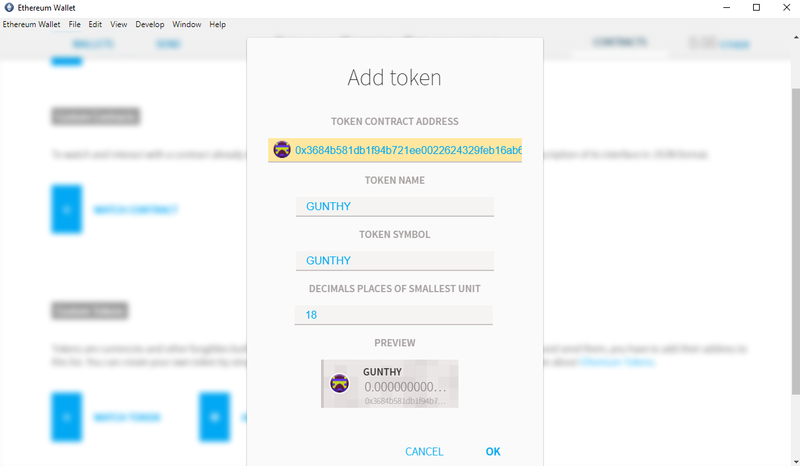 Go to Contracts and click Watch Token to add a new token. Enter the GUNTHY token contract address and confirm. Copy the account address using the Copy address button. Use this address in Gunbot. 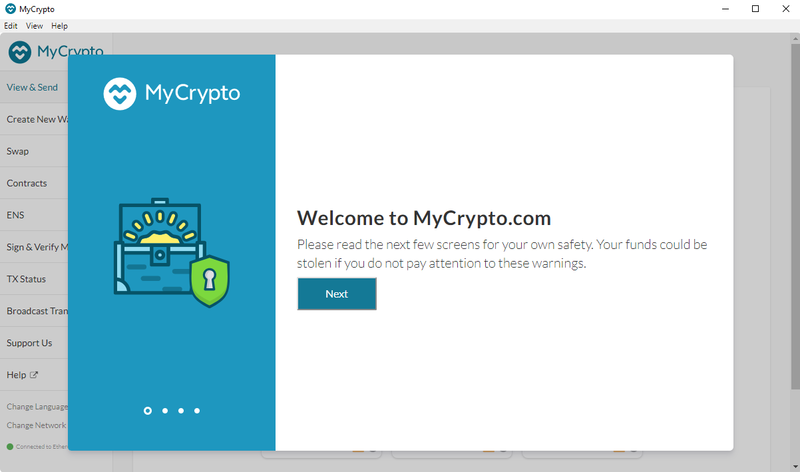 Create a new wallet and follow all the security advice given. Unlock your wallet and go to Token balances and click Add Custom Token. 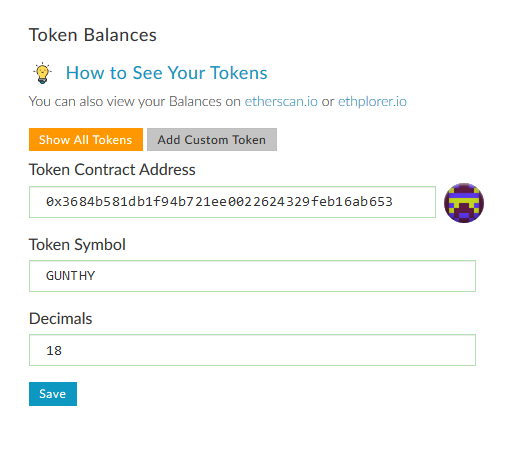 Enter the GUNTHY token contract address, as well as the token symbol (GUNTHY) and the number of decimals (18). Copy the account address shown on top of the page. Use this address in Gunbot. 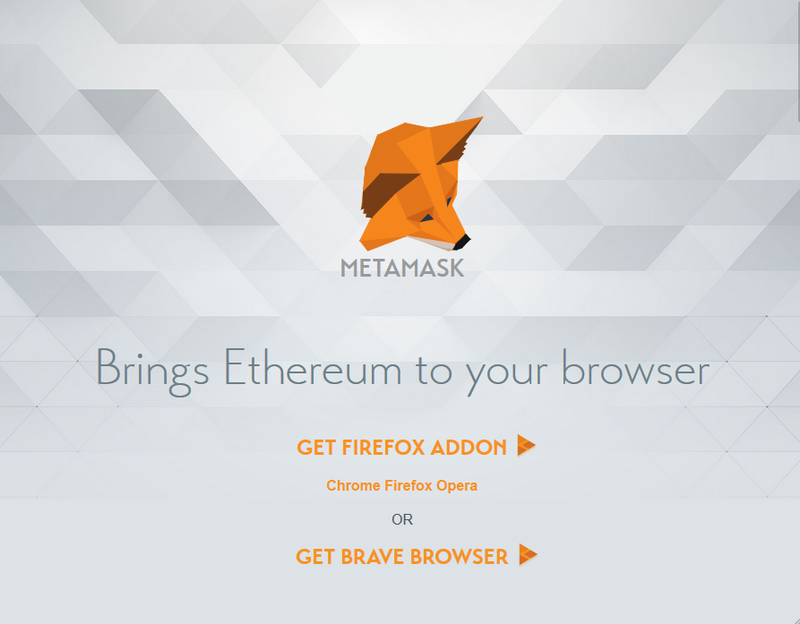 Follow the steps shown to be able to use Metamask. Create a new wallet and follow all the security advice given. Click Add Token to add a new token. Copy the account address shown on top left side of the page. Use this address in Gunbot. Follow the wizard and all the security advice given. Go to View & Send and then to Token Balances to add a custom token.